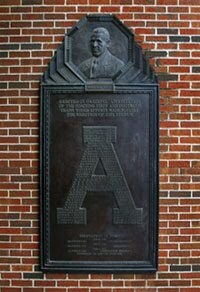 In 1947 Alabama rolled up an 8-2 regular season record under first year coach Harold Drew. The performance earned the Crimson Tide an invitation to play Texas in the 1948 Sugar Bowl at Tulane Stadium in New Orleans. The game was expected to be a clash of two of the country's hottest passers, Alabama's Harry Gilmer and the Texas' Bobby Layne. The result was a 27-7 defeat at the hands of the Longhorns, the fourth straight for the Tide against Texas.